Great personal trainers, a great community, and dedication to your total wellness make One on One more than just a gym. 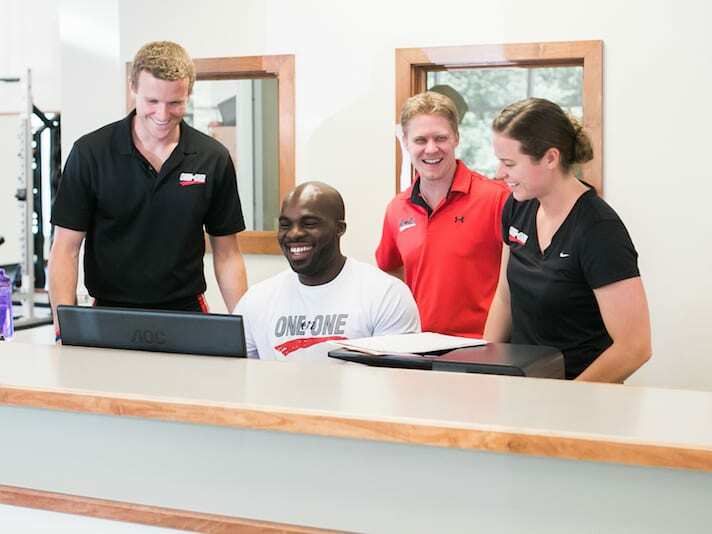 At One on One, we focus on your overall wellness experience, not simply your workouts. Helping you realize your goals is our priority, as well as making them sustainable for the long-term. Our team of professionals will equip you with the skills, motivation, and knowledge needed to succeed. Most importantly, we will ensure that fitness becomes an enjoyable part of your lifestyle. All One on One team members are highly qualified, full-time professionals. Our qualifications and credentials are the best in the business. As educated as our team members are, it is our in-house training program that sets us apart. All team members, regardless of credentials, go through this comprehensive six-week program before they ever work with a client. It is here that they learn how to deliver their expertise in a savvy, inspiring way. We call it the “art” of training. It is a significant commitment of resources, but is truly what sets our professionals apart from everyone else. Thirty years of experience has taught us that the key to a successful fitness experience is starting successfully. At One on One, all clients spend at least their first month on one of our Personal Training programs. 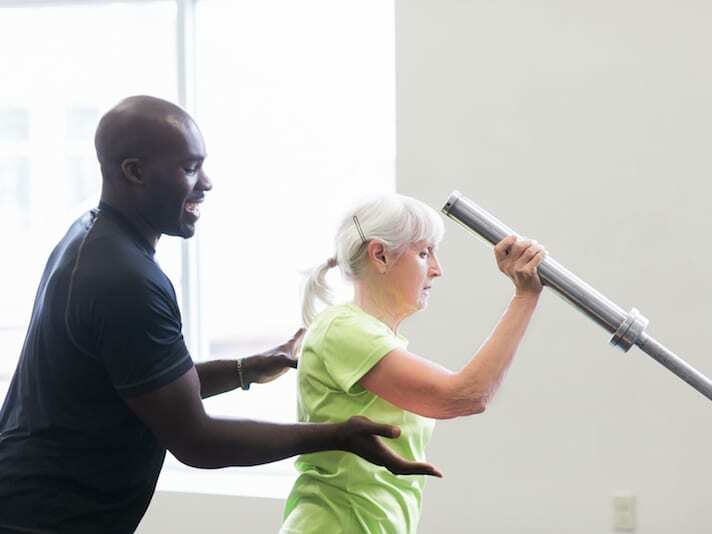 Here they are given the personalized attention necessary to ensure that they have the know-how and increased level of fitness to allow them to participate in other, less supervised programs successfully. For some, this prevents the urge to push too far too soon, often preventing injury. For others, it simply takes the guess work out of exercising, allowing them to train with confidence. Nothing is more gratifying than seeing our clients begin to “spiral up” after having this significant, early success. The key is meeting them where they need to be met and providing a truly personalized, professional experience. Consistent with our philosophy of focusing on a successful, lasting wellness experience, One on One provides the finest nutrition services available. From weight loss strategies to fueling for performance, our staff of Registered Dietitians will help you every step of the way. Just like there is no “one size fits all” fitness program, there is no one size fits all nutrition program. To successfully attain your fitness goals, you must genuinely enjoy the programming, the facility, and most of all, the people. There is a strong sense of community at One on One…you will feel it as soon as you step through the door. But fostering a sense of community extends beyond the four-walls of our gym. One on One is committed to giving back and being a leader in our community.